Cardinal Planning & Design, Inc. d/b/a Cardinal Surveying is fully insured with professional, general and workers compensation insurance. Cardinal Planning & Design is a woman owned business certified by the WBENC and the Louisville Metro Human Relations Commission. Richard oversees land surveying services at Cardinal Surveying. He holds a Bachelor’s Degree of Science in Surveying and Mapping from the University of Florida. 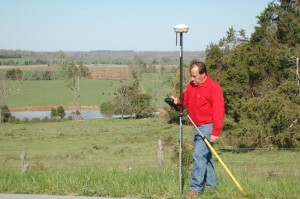 He has performed or supervised land surveying activities for over 21 years in the greater Louisville Metro area. The Company regularly performs house and patio homes stake-outs, boundary surveys, construction layout services, site plans, topographical surveys, A.L.TA surveys, condominium plats, and minor plats. Richard served as Chairman of the Falls of the Ohio Chapter of the Kentucky Association of Professional Surveyors (KAPS) in 1998. Richard is licensed as a professional land surveyor in Kentucky and in Indiana. 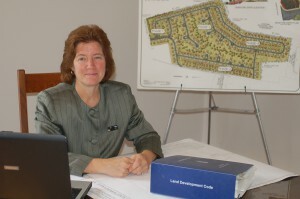 Kathy oversees the company’s daily operations and coordinates the projects through the various governmental agencies. She assists clients with the permitting process for residential and commercial construction. She also has extensive experience in land use planning matters including Zoning Changes and variances through the Board of Zoning Adjustment (BOZA Board). Kathy’s past experience in serving on the Louisville/Jefferson County Planning Commission for four years, sitting on the committee which drafted the present Land Development Code, attending M.S.D and other board meetings and working on a variety of housing and development related issue while serving in the Jefferson County Judge/Executive office (1999-2002), gives her extensive background in the issues which arise in land development in Louisville Metro. Prior to her county service, she worked for nine years as an attorney for Kentucky’s Environmental Protection Cabinet primary in the field of solid and hazardous waste, air and water pollution laws. Kathy is an attorney licensed in Kentucky and Florida. Jason provides engineering services for projects at Cardinal Planning & Design. He holds a Master Degree in Civil Engineering from the University of Louisville Speed School. Jason’s career has been focused on construction management and water resources. He began his engineering work at Ogden Environmental Services doing the KY DPT Bridge Scour Program. Jason worked as a project manager at Robards Construction for seven years overseeing construction projects for drainage improvement, schools, small subdivisions, and the Elizabethtown Sports Park. Additional construction management experience was gained at Louisville Paving where he was Project Manager for the new YMCA at Norton Commons, a 24 acre apartment complex and a new tennis court facility at Hanover College. Jason’s on- site experience in construction projects makes him a valuable asset when preparing cost effective construction plans for your project Jason is a licensed Professional Engineer in Kentucky.